Mark Brandon, directory of NWA TechFest 2012, has announced that the next installment of the Northwest Arkansas TechFest will be on August 24, 2012 at the University of Arkansas Global Campus in downtown Fayetteville, AR. The event is currently seeking speakers, sponsors, and attendees. 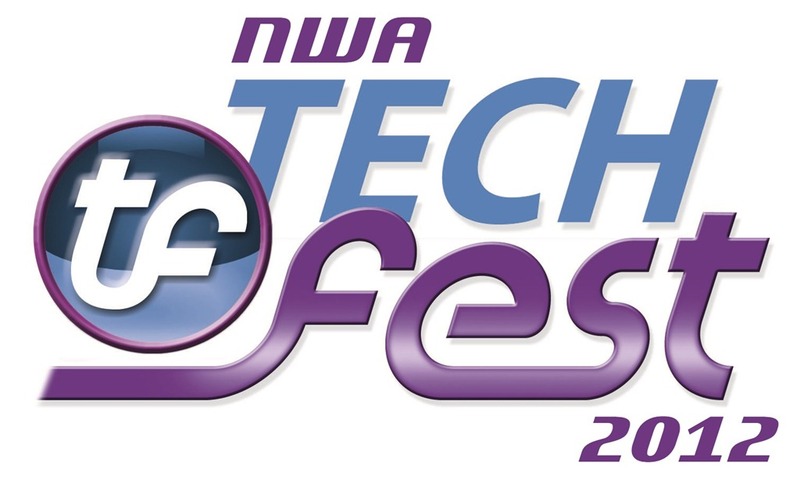 You can follow the Northwest Arkansas TechFest on LinkedIn, Facebook, Twitter, or http://nwatechfest.com. If you are a speaker and interested in submitted topics you can do so via the “Call for Speakers OPEN!” link on the http://nwatechfest.com home page. The 2nd Annual Northwest Arkansas GiveCamp is on it’s way. This year it will be from March 30, 2012 to April 1, 2012 and will be hosted at the Center for NonProfits located in Rogers, AR. GiveCamp is a weekend-long event where software developers, designers, and database administrators donate their time to create custom software for non-profit organizations. This custom software could be a new website for the nonprofit organization, a small data-collection application to keep track of members, or a application for the Red Cross that automatically emails a blood donor three months after they’ve donated blood to remind them that they are now eligible to donate again. The only limitation is that the project should be scoped to be able to be completed in a weekend. During GiveCamp, developers are welcome to go home in the evenings or camp out all weekend long. There are usually food and drink provided at the event. There are sometimes even game systems set up for when you and your need a little break! Overall, it’s a great opportunity for people to work together, developing new friendships, and doing something important for their community. At GiveCamp, there is an expectation of “What Happens at GiveCamp, Stays at GiveCamp”. Therefore, all source code must be turned over to the charities at the end of the weekend (developers cannot ask for payment) and the charities are responsible for maintaining the code moving forward (charities cannot expect the developers to maintain the codebase). Participating in NWA Give Camp last year was perhaps the most exciting professional experience of my life. The creativity, energy, commitment, and talent were inspiring! The recipient charities were so grateful and excited to see their projects being born. Attending a GiveCamp is a great way to give back to the community in a way that impacts in a huge way. For a single weekends efforts you could be the difference in a charity being able to achieve it’s goal for the year, or even the foreseeable future. You can volunteer at http://nwagivecamp.org, better yet build a team and adopt a charity. Challenge other departments in your company to get more people involved and make it fun. I guarantee this will be one of the most rewarding weekends you have experienced as a technical professional. You can make a difference!